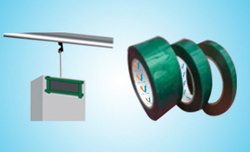 Sri Vasavi Adhesive Tapes Private Limited - Manufacturer of masking tapes, acrylic foam tapes & packaging and protection tapes in Vadodara, Gujarat. Applications Masking for Powder Coating. Applications Gold finger masking in PCB Manufacture.